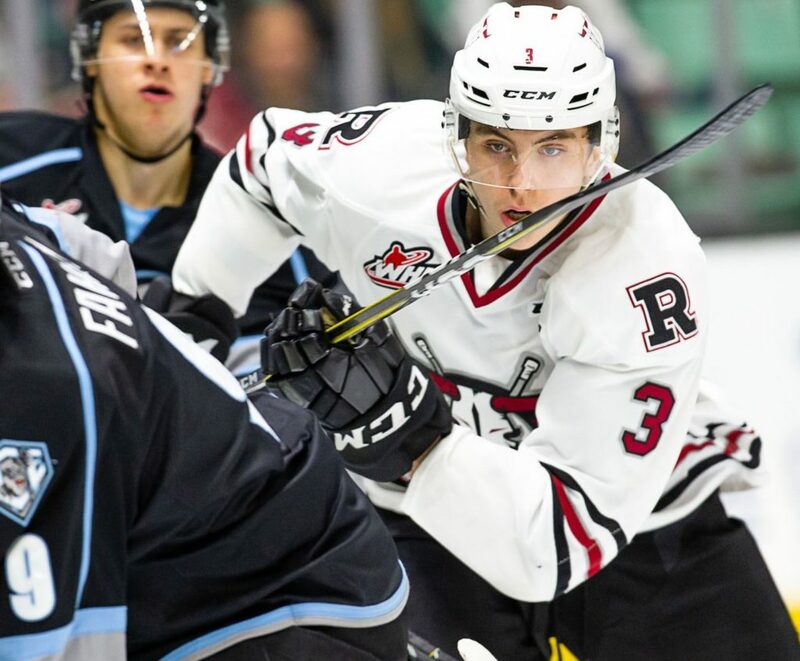 CRANBROOK — It was basically a meaningless game for the Red Deer Rebels. 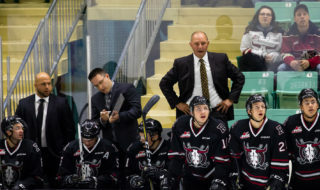 At the same time, GM/head coach Brent Sutter was hoping to use his club’s final regular-season game Sunday versus the Kootenay Ice as a positive tune-up for the WHL playoffs. Instead, the Rebels closed out their schedule with a 5-4 loss to the Ice before 2,684 fans at the Western Financial Centre, their fourth consecutive setback. 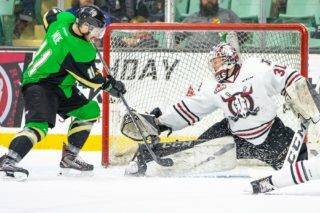 With the Rebels having clinched the second wild-card post-season berth in the Eastern Conference two days earlier, Sunday’s contest — the last WHL game ever in Cranbrook with the Ice relocating to Winnipeg — meant nothing in that regard. “It didn’t mean anything in that sense, but in the sense that we’d lost three in a row in was an opportunity for some of our younger players to show that they’d be able to handle it if they happened to be called upon,” said GM/head coach Brent Sutter. The Rebels boss sat all three of his 20-year-old forwards — Brandon Hagel, Jeff de Wit and Reese Johnson — as well as No. 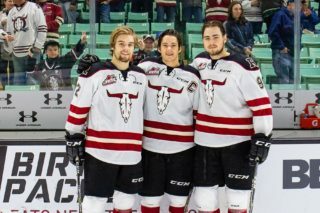 1 goaltender Ethan Anders and defenceman Dawson Barteaux, a Dallas Stars draft pick, and veteran forward Josh Tarzwell. 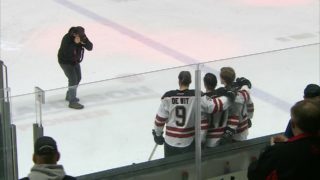 The moves put extra blueline pressure on the likes of Hunter Donohoe and rearguard rookies Ryan Gottfried and Chase Leslie, and Sutter wasn’t impressed with their showing. “It was an opportunity for our defence to step up, some of our younger defence, and I thought Gotts and Dono and Les struggled here tonight,” said Sutter. Jaeger White opened the scoring for the Ice before Cam Hausinger and Brett Davis replied for Red Deer before the first period expired. Hausinger made it 3-1 for the Rebels a mere 19 seconds into the middle period, but the Ice roared back with goals from Nolan Orzeck, Holden Kodak and Connor McClennon, before prime prospect Jordan Borysiuk, making his season debut, replied for the Rebels late in the frame. Michael Milne, with his third goal of the season, scored the winner for the Ice at 14:16 of the third period. 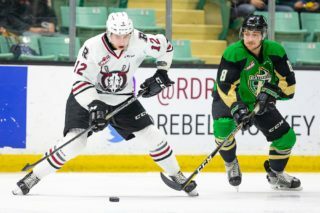 The Rebels will now prepare for a first-round Eastern Conference playoff match-up with the Prince Albert Raiders, with the best-of-seven starting Friday in Prince Albert. “We have to be a team that has moved on past the regular season and will get ready for playoffs,” said Sutter. “We need to get some guys in the right mindset, playoff hockey is a lot harder than regular season. “They have to get ready for that. Whether some guys can or can’t . . . .we’re going to see.